Update: Come explore with us through this archived feature our last visit to Biloxi and the coast prior to all the devastation. Most of the attractions described here have reopened, including Beauvoir, Mary Mahoney’s, Beau Rivage, the Seanger Theatre, the Biloxi Visitors Center, the Ohr O’Keefe Museum of Art, and most casinos. Waiting to be restored are the Mardi Gras Museum, Old Brick House and White House Hotel. Tullis Toledano Manor was destroyed. For trees damaged along Beach Boulevard, an innovative tree-sculpting project has transformed many to amazing works of art, including pelicans, turtles, swans, and dolphins. View artists in action. The Gulf Coast holds a special charm and attraction to me. I spent several summers walking the beach, exploring Ship Island as a young man. It has a rich heritage of fun, seafood, and festivities that draws you in. 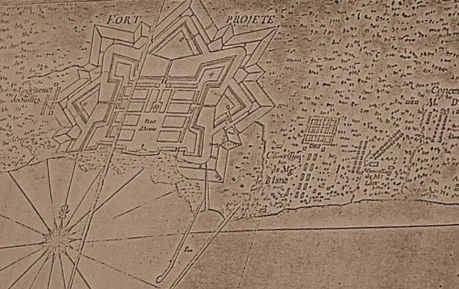 The history of the old city of Biloxi began with the arrival in 1699 of Pierre Le Moyne sieur dIberville and party, from Bourbon, France to settle the area. 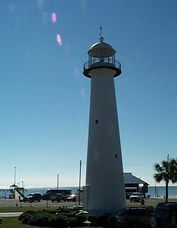 During the period of 1720-1723, Biloxi was the first territory capital of the Louisiana Territory. By 1817, after Mississippi became a state, Biloxi grew to eventually become the second largest city in the state. The seafood industry played a large role in the growth of the city, giving it the designation of the "Seafood Capital of the World." The Gulf waters contain over 200 species of fish. There is plenty to do on the coast. You can go deep sea fishing. You can hone your golfing skills, with twenty courses in the area, go to the beach, gamble, or tour some of the many ante-bellum homes and museums as we did. During our visit, we spent an afternoon helping volunteers with an archaeology dig to try and unearth any remnants of Fort Projete, which was built here by the French 300 years ago in honor of King Louis XIV. It is fascinating to see history unearthed before your eyes. We didn't discover it, but we did find numerous bottles and artifacts from the early 1800s. Young and old alike helped in the dig, with elementary kids and local historians on hand. I would encourage you to volunteer. If interested, email Edmond Boudreaux, who is with the Ms. Commission for Volunteer Service. Also on hand was Jack Elliott, chief archeologist with the Ms. Department of Archives and History, who has been instrumental in Fort Rosalie in Natchez and historical projects throughout the state. Along this 28 mile stretch is the longest manmade sand beach in the world. While we were there, the beach was being replenished with sand from the Mississippi Sound as part of a massive beach maintenance program that takes place once every ten years. That was okay with us, as the water was rather chilly, being here in the winter for our visit. The wonder of the coast has captured my imagination since the days when as a kid I vacationed here. The museums provide glimpses into the land, it's people, and coastal ways. The bright lights of the casinos have their games of chance. Come see more of our journey. We visit the first b&b on the Gulf Coast, now available for purchase.